← Endurance Mountain Biking – Are You Tough Enough? People who like to travel know how frustrating it can be to not be able to experience a unique attraction because of travel insurance restrictions while visiting another country. Travel insurance companies do have the habit of acting like “party poopers”- they tend to dampen the flame when you’re just about having fun. Zorbing is one of the fun activities that travel sports insurance companies often have problems with, so here are a few things you should know if you are planning to visit an established Zorbing attraction. Imagine yourself bouncing off a down-sloped hill, with only a thin and inflated transparent plastic sphere separating you from the worst imaginable injuries you could get from such a tumble. 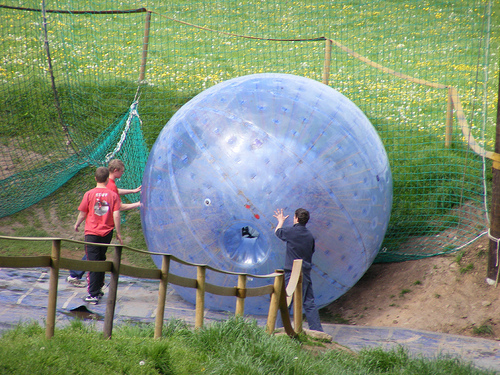 Yep, Zorbing is basically the recreational activity that can be classified under extreme sports which involves voluntarily letting yourself roll down a slope while safely harnessed in a transparent plastic bubble. 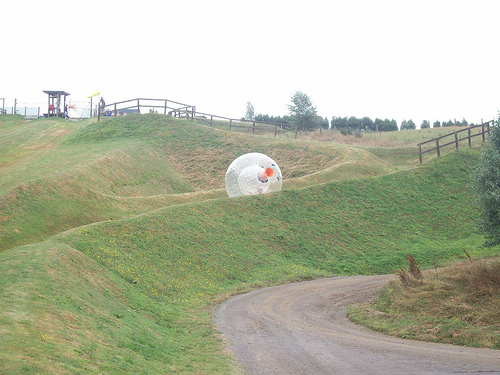 Although Zorbing has taken numerous modern forms, the idea stays the same: getting an adrenaline rush as you experience tumbling downhill without anything to stop you (but with the Zorb ball taking the full impact as a shock absorber). Zorbing is comparatively safer than other activities under the extreme sports genre, but travel sports insurance companies still hate the concept. Why? Well, if you are safeguarding a person’s life, why would you agree to cover a dangerous stunt that involves being pushed off a hill inside a fragile bubble without any brake controls but the standard laws of nature? It’s just like approving an insurance request for a house against fire, and the guy lights a match and throws it at the house as soon as he gets the insurance slip. 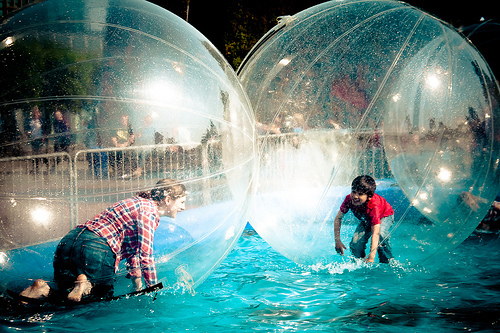 While insurance companies do have some problems when it comes to giving out your well-deserved coverage when it is needed, they just have a reputable point when it comes to trying out Zorbing. Although your current insurance company may not be willing to cover you during travel because of your intention to throw yourself off a hill to experience one of the most enjoyable extreme sports for amateurs, don’t fret and cancel that Zorb booking, for you have an alternative: get yourself covered using a special Zorbing & Travel insurance package. This is fairly common in travel sports insurance companies located in countries where Zorbing is popular, like New Zealand (where the first Zorbing site was established in Rotorua), England, Sweden, and Japan, among others. It is best to travel with an insurance company backing you up, so don’t let minor trivialities like your desire to try something new cancel out this safety must-have. If your current insurance company can’t guarantee a covered journey for you, then find an insurance company that is willing to do so. Many insurance companies nowadays understand that there is a large market of extreme sports enthusiasts out there, and there are loads of insurance products you can purchase for yourself so you can try even more exciting activities other than Zorbing. This entry was posted in Bizarre, Health, Travel Tips, Zorbing and tagged Travel Insurance, Zorbing. Bookmark the permalink.